Get to know PTFE fasteners. The synthetic fluoropolymer Polytetrafluoroethylene (PTFE) was discovered in 1938 by Dr. Roy Plunkett, a chemist working for the well-known DuPont company. PTFE, which is a high-molecular-weight compound, is made up of carbon and fluorine. PTFE has a very low coefficient of friction and performs well in extreme environments. It is also anti-corrosive, non-stick, and non-reactive, with a low wear and high durability. PTFE is used for many popular coatings in the fastener industry, including Teflon®, Xylan®, and FluoroKote#1®. 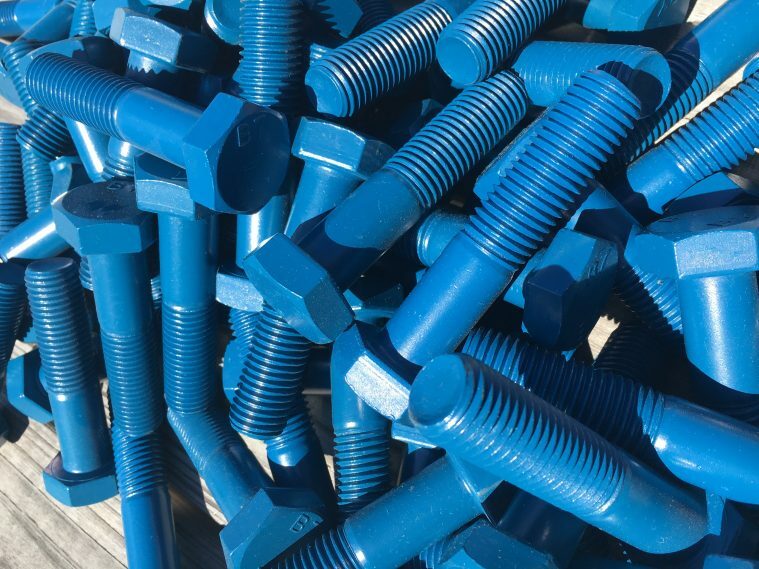 These are known as “extreme performance coatings.” Here at Lightning Bolt and Supply we stock an immense inventory of PTFE fasteners, including, but not limited to: Teflon coated B7 Studs, L7 studs, A307 stud bolts, nuts, and washers. PTFE fasteners and PTFE B7 studs are used in wide variety of industries, including the Oil and Gas industry. These coated fasteners withstand extreme temperatures and harsh chemical / saline environments, and have great subsea visibility. One desirable aspect of PTFE coated fasteners, including FluoroKote#1® coated fasteners, is that they generally do not have to be removed by cutting, torching, or nut-splitting. Rather, they can be removed with wrenches – this enhances safety and helps to keep maintenance costs low. 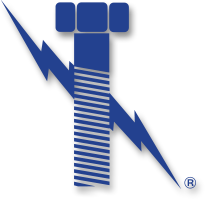 Lightning Bolt and Supply stocks one of the largest inventories of PTFE Fasteners in North America. Being centrally located in Baton Rouge, Louisiana, we are capable of shipping PTFE fasteners to job sites worldwide! FluoroKote#1® coated fasteners. IN STOCK!